Methi garelu or nethi garelu are very famous breakfast in south India... Dahi vada/perugu vada are most famous evening snacks for north Indians. 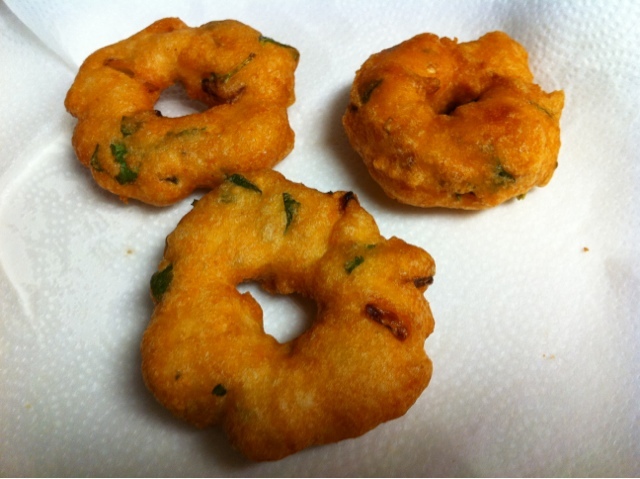 As a whole methi vada is very favorite food for Indians. I love all kinds of vada made out of this dough!!! 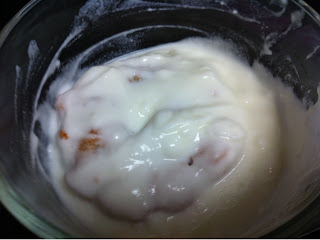 This masala vada goes good with dahi/curd/yogurt. You can also have them with out chutney/yogurt. Soak Urad dhal for at least 6 hrs. At the end, add all the above mentioned ingredients and mix well with slow speed to aerate your batter. Wet your hands in cold water, gently scoop the batter with your bare fingers, and roll up into a ball and gently make a hole using your thumb, drop it into the oil . Always remember to fry them under medium flame, high flame will burn vadas out side leaving raw inner part. These sound good, like spicy doughnuts. I bet with the chutney, even better.